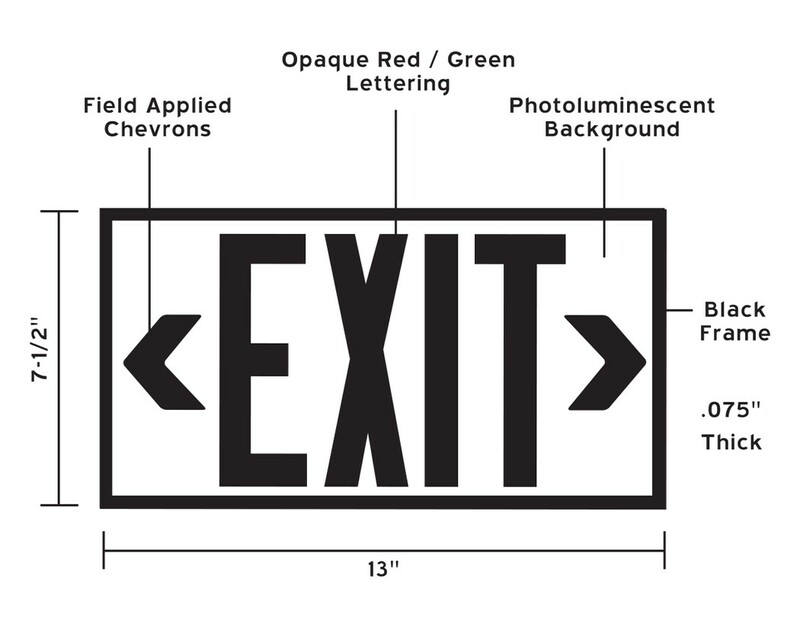 Glo Brite® Eco Exit™ signs utilize the latest photoluminescent technology to absorb and store ambient light. In the event of an emergency with a blackout or smoky conditions this stored energy is immediately visible, creating a clearly recognizable, photo luminescent egress indicator. The innovative emergency egress signs reduce the risk of panic or injury during evacuation, offering peace of mind while eliminating energy costs. Installation: Surface, flag or ceiling mounted (hardware included). Before installation it must be determined that there is a minimum of 54 lux of fluorescent, metal halide or mercury vapor light on the face(s) of the sign at all times during building occupancy. 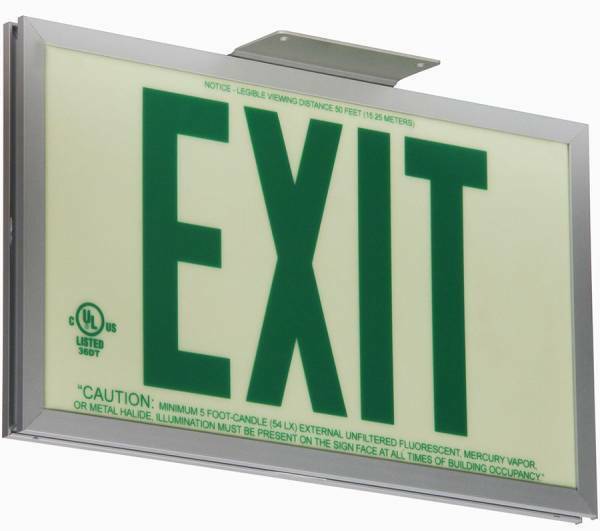 Glo Brite® P50 Exit signs are now available in aluminum to provide a more formal, front office look. Glo Brite® photoluminescent signs are the intrinsically safe, zero energy, environmentally friendly solution for marking your emergency evacuation routes. Engineered with photoluminescent material that absorbs and stores LED, fluorescent, metal halide or mercury vapor light, Glo Brite® signs create clear, brightly glowing egress pathways during emergency blackout or smoky conditions.